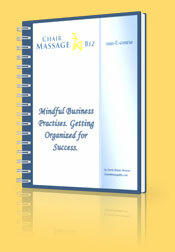 Here to help you market your chair massage or on site massage business. Chair Massage Biz is your premier source of information to find everything you need to know to ensure the success of your chair massage business. Every month Chair Massage Biz publishes newsletters to our subscribers that cover the topics chair massage professionals are looking for. How do we know that? Because you tell us! Click here to continue to provide us with topics you want to know about. In the coming months we will be offering complete and easy to understand custom e-courses that will provide you with the information you need to succeed in your chair massage business. Our e-courses are based on the questions, concerns and challenges that face chair massage professionals from all over the world. Each e-course has been professionally developed and is easy to understand. e-Courses will answer specific questions and challenges, while providing real life proven tools. You'll get marketing techniques, sales letters, telephone scripts, follow up techniques, and many other successful formulas proven to be successful year after year. With the right tools and information, your chair massage business can be successful too! Make sure to subscribe to the FREE "Chair Massage Biz" Newsletter by entering your first name and email address into the form below and we'll notify you the minute these and any resources become available. 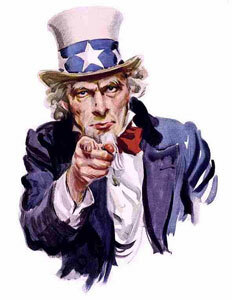 We Want YOU to Like Us and Win! Join Chair Massage Biz Facebook page to receive updates, tips, share your stories and receive the latest information to help you grow your business. Chair Massage Biz is global community of massage professionals . Together we grow stronger. On line contest: One of our first 100 Facebook friends will win a 30 minute coaching session with Carrie. Ask the expert any business or marketing question you are grappling with. Prize is valued at $75.00. Come on board! Go to Chair Massage Biz's Facebook page and press LIKE to join the most relevent massage biz conversation on line.